Violence against women and girls is a human rights epidemic that affects millions of lives around the world. While many Christians are addressing this crisis through education, advocacy and philanthropic support, there has been a reluctance to name gendercide as a theological and confessional issue, a matter that strikes at the very essence of the Christian faith. In The Cross and Gendercide, Elizabeth Gerhardt draws on Luther's "theology of the cross" to provide a theological basis for naming and responding to the grave sin of global gendercide. She lifts up the work and witness of Dietrich Bonhoeffer as an especially powerful resource for mobilizing the church today toward political action and social engagement. From the perspective of Christ's cross, the church must raise a prophetic voice against systemic violence and speak up for the myriad women and girls who are invisible and voiceless in the world today. "Those who carry the cross of Christ to the farthest reaches of the Himalayas will find that in some villages there are no girls over the age of twelve. Gerhardt helps us make sense of the maddening global violence against women and girls by providing a theological response—a heartening call to live out the confession of our faith. From the foot of the cross, she challenges us to identify with those who suffer as we bind up the broken hearted and set the oppressed free. In The Cross and Gendercide, the church is urged to elevate the discussion beyond proclamation vs. social action to what Bonhoeffer described as a faith that gives us the courage to take risks as we bring good news in all its fullness to those in peril. Read this book and then join the resistance of the greatest injustice of our century: the wholesale abuse and exploitation of women and girls." "This book argues that sophisticated theological thinking has practical consequence, and it demonstrates this truth in great detail. This is its brilliance. With equal attention to the theology of the cross and violence against women, Gerhardt shows that the suffering Christ is the framework through which the church may recognize and actively resist gendercide in concrete ways. In doing so, she furthers a turn in Bonhoeffer scholarship, addressing pervasive evil by constructively appropriating Bonhoeffer's writings to our own historical context." "The Cross and Gendercide is a thoughtful and thought-provoking call to action for the church to be holistic and creative in our response to ending violence against women and children by our close attention to an informed theology of the cross. Elizabeth Gerhardt examines global gender-based violence and offers the reader a sustained theological response using notions of confession and resistance. This book offers an invitation to churches and their leaders to imagine a theological approach to the evil of gendercide and then to act. Every pastor and every seminary student should have this book on their reading list." "Elizabeth Gerhardt asks us to 'imagine a theological approach to ending violence against women that is holistic, and creative, and results in local and global initiatives.' This is what The Cross and Gendercide does. It feeds our imagination by bringing together in conversation a lifelong experience of dealing with the issues and a lively theological-ethical understanding shaped by Luther's 'theology of the cross' mediated through the witness of Dietrich Bonhoeffer. The frightening global escalation of gender violence demands such critical theological reflection if Christians and churches are going to respond in ways shaped by the gospel, and with the commitment and urgency required." "Gerhardt provides a cohesive church response to the problem of gendercide. 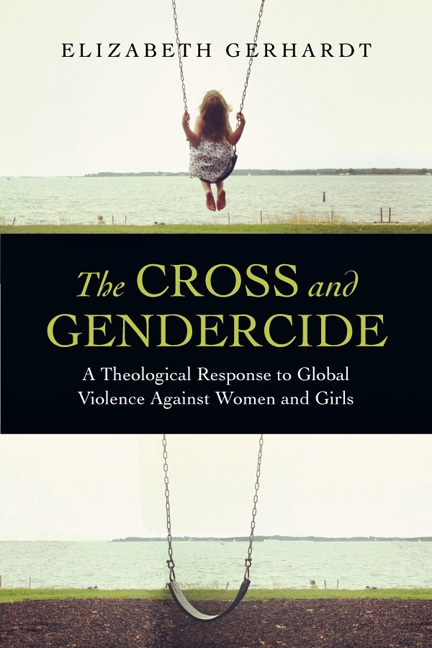 The Cross and Gendercide educates church leaders, scholars, and laypersons about global violence against females, the subsequent complexity of the problem, and the need for theologically based responses rooted in Christ's redeeming work on the cross." "In The Cross and Gendercide, Gerhardt does an in-depth theological study of Christ, the cross and its purpose for humanity. She justifies a call for the church to speak for those who cannot speak for themselves. Abuse against women and girls is not only a sin, but it is a crime and a human rights issue. Christians need to stand up for the social injustice being perpetrated on women and girls, not only in America but all over the world. Many are screaming in silence. This must change." "Few accomplish what Gerhardt succeeds in doing in this book: outlining the extent and roots of global 'gendercide' while also employing theological categories in order to call the church to action. . . . This book will certainly benefit church groups, undergraduate students, and persons training for ministry who wish to eradicate global violence against women and girls." "I heartily recommend this book for its solid missiological approach that does not separate proclamation from social justice, that centers the approach in the finished work of Jesus Christ, and that encourages us to begin both our theological reflection and resulting actions in prayer together, at the foot of the cross." "This much-needed work uses research data, individual stories, and short histories to explain how domestic violence, sexual assault, female circumcision, and murder continue to determine the lives of millions of women and girls throughout the world. Drawing on Martin Luther and Dietrich Bonhoeffer, Gerhardt situates this violence in its particularity and locates Christ as present with these women and girls in empowering ways. The book's Lutheranism grants it both an unflinching look at gendered violence and an uncompromising commitment to its eradication." "The Cross and Gendercide is worth reading and worth taking to heart. Its strong Christ-centered challenge to the church to speak out against gender-based violence and to resist patriarchal structures of oppression is long overdue." 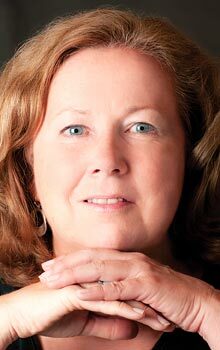 Elizabeth Gerhardt (ThD, Boston University) is professor of theology and social ethics at Northeastern Seminary, Rochester, New York, and adjunct professor in the department of religion and humanities at Roberts Wesleyan College, Rochester.